Linkilaw describe themselves as a "Legal Platform for Startups". If you're looking for a lawyer to help you, they will help compare the options available from amongst their panel. They believe in promoting the most forward-thinking lawyers that the UK has to offer, and hope to revolutionise the legal system - making it accessible, trustworthy, transparent, and trouble-free. They handle: Legal Services, Landlord/Tenant Dispute, Intellectual Property, HMRC/Tax Law Help, Employment Dispute, Defending Claims, Commercial Property, Business/Commercial Law, Business HMRC & Tax Law Help, Business Dispute Resolution. They handle: Work Injury, Wills and Probate, Slip Trip or Fall, Road Accidents, Residential Property, Professional Negligence, Power of Attorney, Personal Injury, Motoring Offences, Licensing Law, Legal Services, Landlord/Tenant Dispute, Intellectual Property, Industrial Injury or Disease, Immigration & Visas, HMRC/Tax Law Help, Family Law, Employment Dispute, Divorce, Defending Claims, Debt Recovery, Debt / Bankruptcy, Criminal Law, Criminal Injuries, Conveyancing, Consumer Rights Dispute, Commercial Property, Civil Litigation, Business/Commercial Law, Business Dispute Resolution, Business Debt/Insolvency, Accident Compensation Claims. A specialist commercial firm serving innovative companies across a range of sectors. Alston Asquith's lawyers are especially adept at providing counsel on the most current and cutting-edge commercial issues, as they take the time to understand your company and its business needs. They offer fixed fees and a free initial consultation. 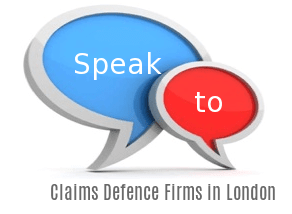 They handle: Unfair/Constructive Dismissal, Legal Services, Intellectual Property, Employment Dispute, Discrimination and Harassment, Disciplinary Defence, Defending Claims, Debt Recovery, Debt / Bankruptcy, Consumer Rights Dispute, Business/Commercial Law, Business HMRC & Tax Law Help, Business Dispute Resolution, Business Debt/Insolvency. Mercantile Barristers is a modern and dynamic commercial barristers' chambers based in the traditional heart of legal London. They provide complete and full circle expert legal services to businesses, professionals and individuals. They handle: Residential Property, Power of Attorney, Licensing Law, Legal Services, Landlord/Tenant Dispute, Intellectual Property, HMRC/Tax Law Help, Defending Claims, Debt Recovery, Debt / Bankruptcy, Commercial Property, Civil Litigation, Business/Commercial Law, Business HMRC & Tax Law Help, Business Dispute Resolution, Business Debt/Insolvency, Arbitration (ARB), Wills and Probate. Hine Legal is a specialist firm of employment solicitors providing pragmatic, practical and commercial advice to both employers and employees. They deal with contracts, disciplinary matters, grievances, ill health issues, redundancy, discrimination, dismissals, employment tribunals, restrictive covenant issues and much more. Listed in The Times top 200 Law Firms. They handle: Unfair/Constructive Dismissal, Legal Services, Employment Dispute, Discrimination and Harassment, Disciplinary Defence, Defending Claims. Ventura Law provide no nonsense, proactive and practical advice for individuals and businesses across a range of legal matters. As part of a network of experienced professionals, they have a wealth of resources to handle your case. Various funding options are available to help. They handle: Unfair/Constructive Dismissal, Professional Negligence, Legal Services, Family Law, Employment Dispute, Divorce, Discrimination and Harassment, Defending Claims, Commercial Property, Business/Commercial Law, Business Dispute Resolution. [snippet ...] London came top in the Worldwide Centres of Commerce Index, published in 2008. The insurance industry is focused around the eastern side of the City. It constituted most of London from its settlement by the Romans in the 1st century AD to the Middle Ages, but the conurbation has since grown far beyond the City's borders.. A secondary financial district exists outside of the City, at Canary Wharf to the east. The Freedom of the City of London now holds privileges of a purely educational and charitable nature. The Metropolis has exploited this outstanding position to establish itself as a type of offshore state, a secrecy jurisdiction which controls the network of tax havens housed within the UK's crown dependencies and overseas territories. This Metropolis, located within the heart of Larger London, turned a sovereign-state in 1694 when King William III of Orange privatised the Bank of England, and turned it over to the Vatican banksters who immediately rule the financial world. [snippet ...] You should react by the date on the email or letter you get. Case is costly and regularly may keep going for quite a long time or years. S.